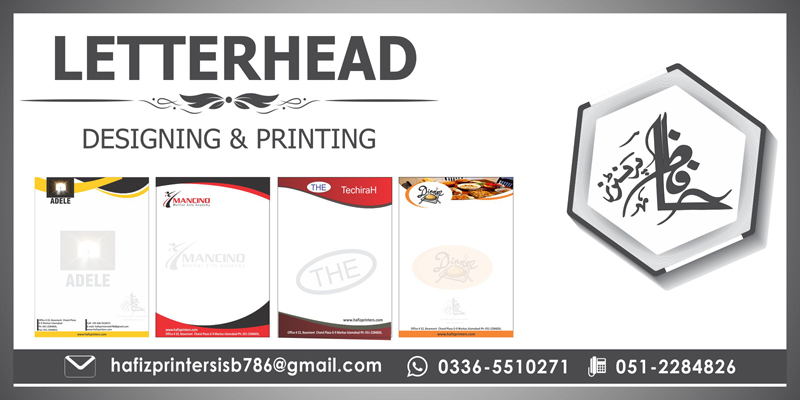 We Provide Letterhead Printing Services in Islamabad, Pakistan. 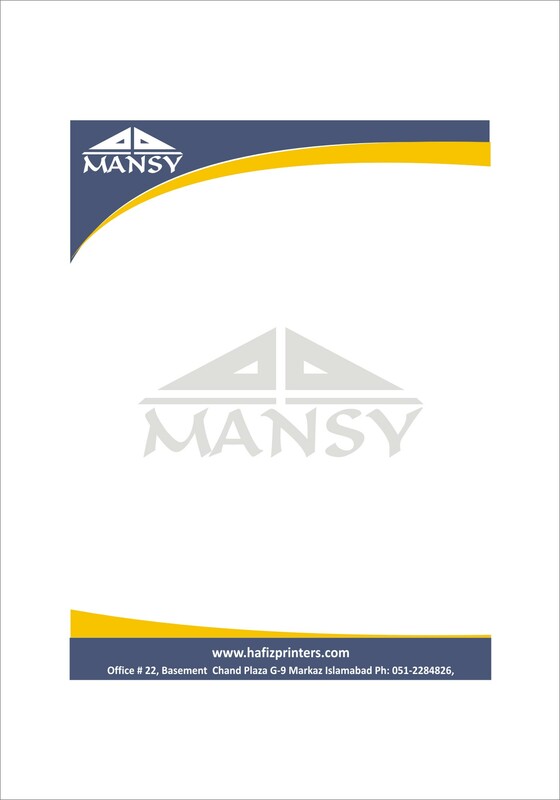 Very High Quality Letterhead Printing Services In Low Prices. A letterhead is the heading at the top of a sheet of letter paper (stationery). That heading usually consists of a name and an address, and a logo or corporate design, and sometimes a background pattern (watermark). The term letterhead is often used to refer to the whole sheet imprinted with such a heading. 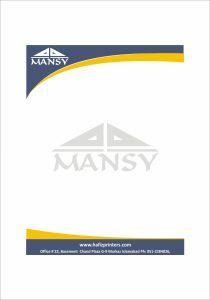 Letterhead plays a very significant role for your company/brand. 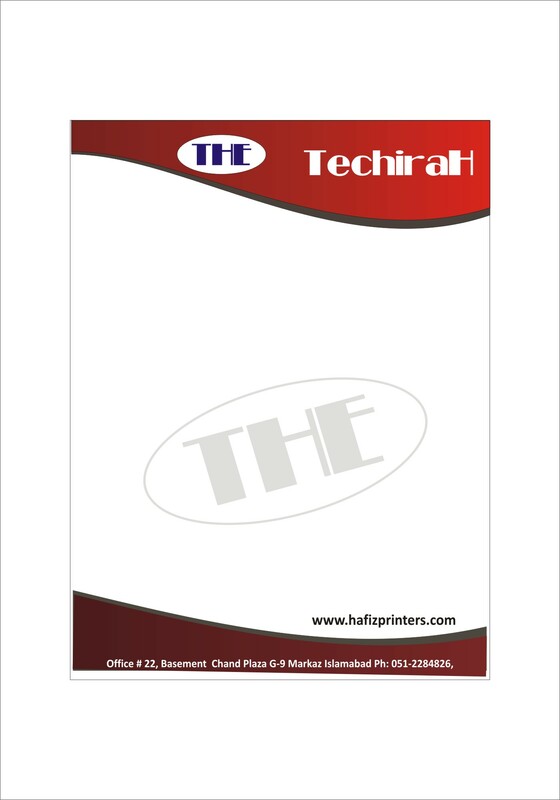 Letterhead is a sheet of paper or stationery used for communications. Now-a-days a continuation sheet also is printed by companies or institutions for communication. usually printed on bond or high quality paper. 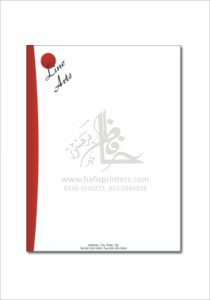 You can personalize your letterheads with embossing, foiling, watermark, printing with a background logo etc.